A Health Advocate is an individual who provides direct and personalized services to a patient and/or their family as they navigate the healthcare system. Health advocates also engage in activities that promote health and access to health care in communities and the larger public. what does a health advocate do? A Health Advocate’s role is to assist, educate and support patients and their families so they are able to make appropriate healthcare decisions for their specific situation. Health Advocates assist patients in medical, eldercare, insurance, legal and administrative areas regarding their long-term or acute care needs. Click here to see Health Advocate services in detail. what background or expertise does a health advocate have? 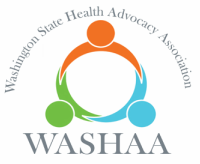 Health Advocates are involved in a variety of different healthcare-related areas and come from various backgrounds and expertise. Those may include nurses, physicians, physician assistants, social workers, case managers, hospital administrators, patient care coordinators, insurance providers, home aid workers, as well as lawyers among others. Additionally, there are many health advocates with or without the above credentials, who have personal experience through their own illness or from assisting a family member. Those individuals become advocates for others going through a similar process or illness. Health Advocates can be independent professionals or advocacy businesses that patients and their families hire on a fee-basis to assist them. Hiring an independent Health Advocate means his/her primary responsibility is to their patient with no incentives outside the patient’s wishes. Before commencing work with a client, professional health advocates typically present a Scope of Work or other Description of Services Agreement to the client that describes the services to be rendered, timelines for completion, appropriate privacy and confidentiality protections and a fee schedule, if applicable. Hospitals, insurance companies and some employer and community groups can offer health advocates, health coaches, patient navigators or care coordinator services as a covered benefit to their members.